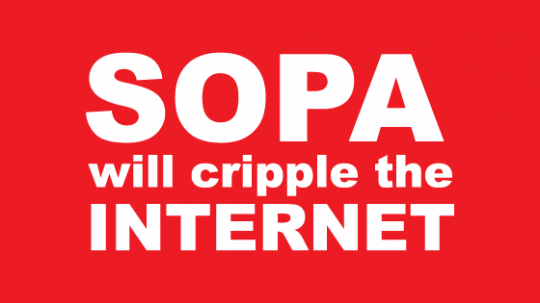 Raz's Midnight Macabre: STOP S.O.P.A.!!! 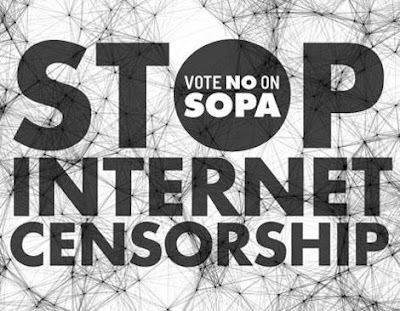 American Congress is about to pass internet censorship, even though the vast majority of Americans are opposed. 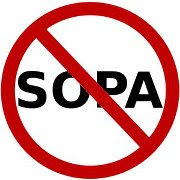 We need to kill the bill - PIPA in the Senate and SOPA in the House - to protect our rights to free speech, privacy, and prosperity. The Senate is scheduled to vote on the internet censorship bill on Tuesday, January 24th, and unless we can find 41 senators to block the vote, it is going to pass. Think it won't affect those of us outside the US?..... Think again!!! "Raz's Midnight Macabre" is against S.O.P.A! As a writer of all things Horror for 3 websites my career is in danger because of this bill. The internet is a true freedom of speech, whether it be good, bad it's our opinions out there for the world to see. When ideas are blocked, information deleted, conversations stifled and people constrained in their choices, the Internet is diminished for all of us. I'm not the only site out there that's against this. Sites such as Youtube, Facebook, SomeWhatNerdy and many more are too. So much so that in protest they will do a synchronised blackout of their sites for a period of time. This really is no laughing matter, it is more of a true life Horror. but you can do something about it, visit the website http://americancensorship.org/ where you can sign a petition, whether you're in the U.S. or not, plus it has many facts on what's happening. On the 18th (tomorrow) I urge you to also visit the website http://somewhatnerdy.com/ where the site will be blacked out all day with info on what's happening and more. The History Of "Mary Shelley's Frankenstein"